Is Laptop a Cassette Tape of Computer Industry? Nowadays we are hearing a lot about cloud across the web. Our entire internet life is based on cloud itself and it is quite natural. Major companies are active ingredients of many other companies which use cloud for their data storage. Therefore while looking for cloud file hosting we should trust a dependable company like Uploaded Premium. Cloud is basically a cluster of servers linked virtually or physically to each other and are stored at many different locations. 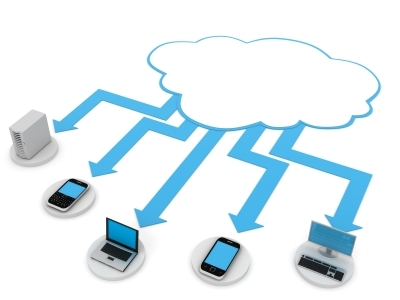 Storing data in a cloud is the most effective way to store or pass on data to various locations. Along with the convenience of accessing data anywhere and everywhere, it also gives the user the capability of storing data at one location and extract data from different locations without the need of an actual storage hardware. Cloud hosting has its own pros and cons. However it is an extremely cost-effective hosting method and therefore is utmost popular among companies. Cloud storage is available in different forms and formats and nowadays cloud hosts like Uploaded Premium not only store data online, but also acts as a backup solution for many users together with international corporate companies. The days have gone of cheap USB drives and headache to burn CD/DVDs; now are the times of cloud. Many cloud hosts offer you a dedicated app to sync the drive with the PC with an ease of drag and drop via your own OS. One of the significant features of cloud file hosts is some of them offer a good referral or affiliate system which helps the user to gain monetary benefits or increase in data storage space. Monetary benefit is useful for content creators to create and share even increased content and if they get incremented storage space they can store and share even more content.